Hello bloggers. I am not completely sure how this works but I am Courtney, Lynda's daughter. I logged on to her blog to write this post to inform any followers or readers that my Mom, Lynda, passed away very suddenly this past Wednesday. We held lovely services in Alfred, Maine for her on Saturday, Feb. 27. Her memories will live on and anyone is welcome to share any thoughts or memories or stories you may have had of her. If anyone would like to make a donation in her name, we are asking to please donate a children's book to a public school or library in her name or you may donate to a local women's shelter. She was a strong advocate for children and teaching children to read and when she was working in administration in the schools, would often pop into a classroom to ask if she could read a story. She also was a strong believer in equality for women and women's rights. I have asked her closest friend, Karen, another avid quilter who actually was the force behind Mom getting started, to please finish any of Mom's unfinished projects- especially the wall hanging she made for my grandmother's 85th birthday. My mom was the most amazing person I have ever known. She will be missed. The two are not related, but certainly a part of a very enjoyable weekend. Both the play and visit with dear friends made my quick visit to Hartford memorable. Gee's Bend at the Hartford Stage Company presented vignettes of the lives of one family from 1939 to present with a host of beautiful quilts throughout. The stage set itself created the visual background through a series of back drops of quilt-related geometric designs that mirrored the Gee's Bend style. Four actors traced the history of the times, family, and quilts. The stage itself had the river running through it with water. And the gospel singing throughout the play mirrored the singing of the quilters from the Sister's quilt show video. There were several quilts in the lobby... so all in all, a worthwhile experience. And Madeline... there just weren't enough days in the month to finish completely but I used today to savor working on finishing the top - and savoring the Roueneries fabric. I love working with it. It probably took much longer than needed because it was so difficult to decide which piece to cut. And I didn't start a wall hanging for my mother's 85th birthday. This pile of fabric represents the colors of the 20s, 50s, 80s, and 2000+, will be turned into stars of various sizes from large at the top for Mother, medium for her 5 children, smaller for her 6 grandchildren, and 3 for the great-grandsons. I just organized my Sunday. I am off to Hartford Stage this evening for the Gee's Bend play http://www.courant.com/entertainment/arts/hc-geesbendrev.art.artjan22,0,7932596.story.. will share about it tomorrow. Pat at A Little Bit of this and Pat... offered a break from the doldrums of winter by challenging her readers to look back at the 5th folder/5th photo of saved pictures. I had to switch to my old computer to search back, and found this picture of my daughter and Gracie at the Manchester, Vt summer horse show. What memories! This particular show is held in a large farmer's field on the side of the road. For a week, we were at the show grounds for 10 hours a day -- no permanent facilities. This was Gracie's first major horse show and it is a professional photograph. My pics of any of the horse shows usually snap just after they finish the jump. As a non-horse person, my nerves were usually very on edge when C was in the jump ring. These fences were quite low, but for a period of time, she was jumping 4 foot fences - and had her share of falls. Thanks for the memories, Pat. My week has been consumed with replacing my vehicle. C found the exact model Jeep - it's a unique 98 with a powerful engine and tow capability - so I went to Vermont to test and bring it home. Registration, inspection, accident paperwork, rental return... just consumes so much time. Today I will be sitting at the dealer's to address little issues and get the inspection sticker. With little time to work on quilting, I will take this project that has dragged on for a while. It is a table runner with a duplicate design on the other end. It has become one of those projects that I forget for a while, then realize that I do want to finish it. Pat has also become my harbinger of weather - doesn't sound great for the weekend. I will leave with a picture of my view from the sewing machine earlier in the week. I thought we might be finished with this! The older part of the house has a metal roof, so all of the snow piled in front slides down once the sun hits... with a roar and splat that sets Jack Russells to barking and otherwise making fools of themselves. The only difference is the red polka dot in this one vs the green in the first. My much-loved car - 98 Grand Cherokee with a 5.9 engine which just means it pulls or pulled a horse trailer with ease. So much for stopping to call 911 for a roll-over in New Hampshire... you are asked to stay on the phone and provide information - so I stayed in the car on the shoulder of the road and was hit by a young lady without insurance who was speeding! I ended up with bumps and bruises and the usual aches that appear days later -- and a lovely black eye! Sadly, my car was totaled - so I have had to be my own advocate all week. I am committed to getting some work done today and will share tomorrow... need therapy if nothing else. PS - I have yet to figure out how to easily respond to comments which I would love to do... working on it today. Always enjoy every comment. My companion - I have a bad back so I think she thinks she is forcing me to sit up straight! (yes, she remains there while I'm working at the machine but only in the evening. During the day, she has a basket and surveys her back yard to protect it from birds and squirrels. Sorry about the green eyes - no idea how to fix it. The room has radiant heating so I wear layers that can be tossed after a fairly short time - amazing when you have warm feet that the rest of you warms quickly. 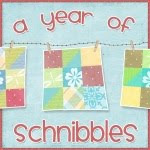 Project -- I had several on the docket - Amish stars, Schnibbles... but quilting the second story quilt took priority. Back to work - need to deliver the quilt today, so will be heading for Vermont. Thanks for the company... have a great day. 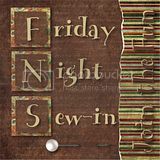 It is still Friday - albeit evening - but I just put the final stitches in story quilt one. The second is my project for tonight's sew-in. The idea for the quilt started with I Spy blocks from a swap and then took on a life of its own. My sister (Nana) always has to tell a story at bedtime when the boys are visiting, so there are several blocks added that are specific to people or activities that they will recognize.